I absolutely love Everything That Makes You, it's a new all time favorite of mine! 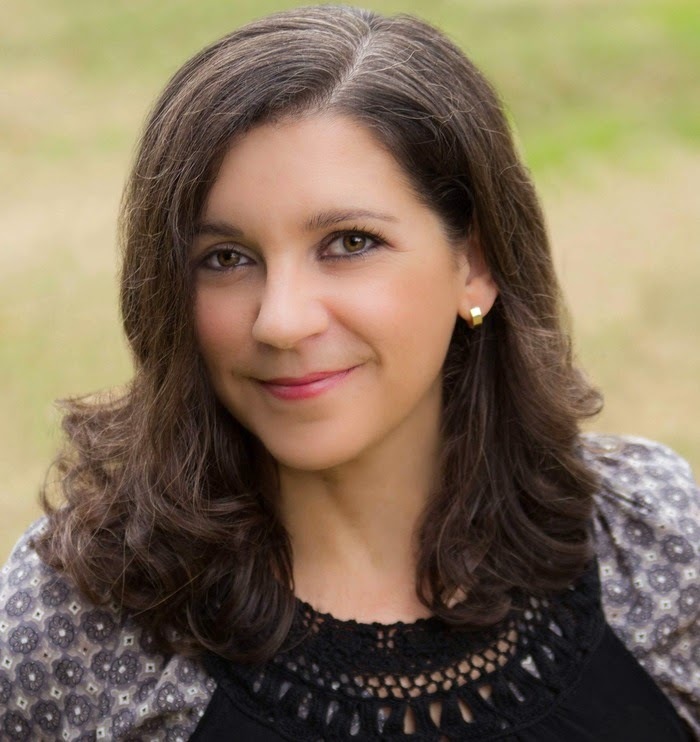 I was so happy to be able to interview the amazing author behind the book, Moriah McStay! (I'm seriously fan-girling right now!!) *breathe* Okay, onto the interview! -What are three words that best describe Everything That Makes You? -The book has such an original concept by giving two stories to the main character. What inspired you to write Fi and Fiona’s story? I wanted to write this story a long time. Like Fiona, I was in an accident as a child. It wasn’t nearly as bad as Fiona’s, but my right eye was badly damaged, so it looked very different than my left. You could tell. I got lots of questions, couldn’t play contact sports, had to wear big glasses. As I got older, I wondered what parts of my personality changed because of that freak accident. Or maybe none did. In college, I engaged in this "what if" conversation with friends, and everyone had at least one moment of their own. Maybe not an accident, but an incident in school. A sick parent. A move from one city to another. I thought it’d be cool to write a book about it. So eventually (many, many years later) I did! -Who do you connect most with, Fi or Fiona? At first, I identified more with Fiona. I think approached Fi—the one “without any problems”-- with the same assumptions lots of us have about people who look whole from the outside. Without much empathy. But once I realized Fi had her own issues, I connected with her more. Now, I see parts of me in both. For example, I’m creative like Fiona, but not painfully shy. And while I’m not a jock like Fi, I am pretty competitive. -Fiona is an extremely talented songwriter and guitarist. Fi is the best lacrosse player in the state. Other than writing, do you have any special talents? This isn’t a talent—more a personality trait—but I’m pretty active. I do yoga and exercise a lot. I love the outdoors, and drag my family on day hikes whenever they’ll let me. That’s about all I have time for right now, with three teenage daughters and some books to write! -Fiona and her group of friends hang out at a coffee shop called the Otherlands. Do you have an awesome coffee shop like the Otherlands or a cool place you go to hangout? I have Otherlands! It’s real, and about a mile from my house. I wrote most of ETMY there. The chairs really are terrible. -Did you have a playlist while writing EVERYTHING THAT MAKES YOU? If so, could you share a few songs that were on it? Moriah McStay grew up in Memphis, TN, where she acquired a come-and-go drawl and a lifelong love of cowboy boots and fried pickles. She attended Northwestern University and the University of Chicago. Two graduate degrees and seven jobs later, she finally figured out what she wants to be when she grows up. 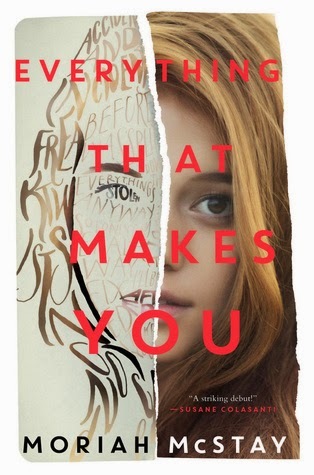 EVERYTHING THAT MAKES YOU is her first novel, and she's probably at home right now working on another one. I haven't heard much about this one, but I like the concept. I'm going to see if I can get my hands on a copy. The book sounds interesting, I want to read it. Great interview.